There’s no way of sugarcoating this: The fashion industry is notoriously unsustainable and wrecks havoc on the environment. The World Resources Institute estimates that five trillion litres of (fresh) water are used yearly in garment production, while the United Nations Environment Programme points out that the fashion industry generates “more greenhouse gas emissions than all international flights and maritime shipping combined”. Jaw-dropping, right? But while many point the blame to fast fashion and its constant output (Watch: The True Cost), the luxury industry is not absolve of any guilt too. Leather tanning for example, to make the leather goods that are symbolic of many high-end labels, releases large quantities of heavy metals and other pollutants into water bodies and exposes them to the workers and people who depend on them for survival. And we’re nowhere near scratching the surface on the magnitude and severity of the issue here. So if you’re wanting to see real changes to the industry and create a sustainable, greener future for ourselves and the future generation, we’ve rounded up eight ways you can do to reduce your negative impact on the environment. While each action seems small and insignificant, the collective effort will undoubtedly make the fashion industry sit up and pay attention. With Earth Day falling on April 22, let it be our motivation to celebrate the home we live in, reflect on our behaviours and commit to doing our part. Since young, we’ve been inculcated with these three Rs — reduce, reuse and recycle — and here are some ways on how you can turn them into action. Reduce — 20 per cent of our wardrobe gets worn 80 per cent of the time, while the remainder is rarely incorporated into our rotation. So the next time you see something that catches your fancy, think twice before making the purchase, and ask yourself: Will I wear this? How often would I wear it? If you don’t envision yourself wearing the article at least once a week, put it down and walk away. Another way to reduce your fashion waste is also to mend your clothes rather than discard it when a button, for example, comes off. Websites such as Martha Stewart and YouTube have a wealth of information to help you. Lastly, bring your own bag when you’re going shopping and reject any unnecessary packaging because you’re just going to throw them away when you get home. Reuse — One man’s thrash is another man’s treasure, and that applies to your old clothing too. If you can’t find someone to hand down or give to, you could donate to local charities such as New2u (by the Singapore Council of Women’s Organisations), the Salvation Army, MINDS, Metta Welfare Associationand Pass It On (who donates it to the needy via Voluntary Welfare Organisations). Recycle — Lastly, your unwanted clothing can be donated to Swedish label H&M’s recycling program. Just bring them to any of their stores islandwide and in exchange, H&M will give you voucher that grants you 15 per cent off your next purchase. You can head to their website to learn more about their initiative. American denim label Levi’s also runs promotions from time to time where you can trade in an old pair of jeans. We use ECONYL® for swim, a regenerated nylon fiber made from waste such as fishing nets from the ocean and other waste from landfills. Upcycling aims to give new life to old products. For example, shirts that you don’t wear anymore can be made into coasters or quilts while t-shirts can be made into pom poms or have holes cut in them to create new unique designs. You could even tie-dye old clothing and hop into this psychedelic S/S’19 trend. YouTube is a great resource. In addition, you can also support brands such as Reformation and ASOS’ Reclaimed Vintage line, which uses deadstock fabrics, unwanted textiles and recycled materials to create new fashion-forward products. Knowledge is power, and knowing what is good and bad for the environment can help you make better and more informed choices as a shopper. While there are many areas you can research into, we’re going to focus on two issues we feel are more salient. First, the materials used to create the clothes, such as cotton, nylon and polyester. Not only does the growing of cotton use copious amounts of pesticides that can seep into underground waterbeds and aboveground water sources, one kilogram of cotton uses an astonishing 20,000 litres of water to produce, according to the World Wildlife. One kilogram of cotton only equates to a t-shirt and a pair of jeans, while Singapore’s per capita household water consumption was 143 litres per day in 2017, as the national water agency PUB reported. Make a commitment to go for organic cotton. While organic cotton uses as much water, it doesn’t impact the environment as significantly as it doesn’t use genetically modified seeds nor synthetic pesticides (read more about it here and here). While we’re only scratching the surface on the research that you can find about the world’s most popular fabric, you can easily Google and educate yourself on other types. The second is to research on the supply chain and the actions that brands are taking. Do these brands source for materials sustainably? Do they pay their workers fairly? Are the diamonds you’re wearing mined responsibly? Some avenues you can begin to look into include Responsible Jewellery Council and Fairtrade Foundation. You can also look at the brand’s core values, annual reports and related published materials to find out what steps are they taking for protect the environment before choosing to support them with a purchase. So you bought something really pretty. It needed a little alteration but you got it because you told yourself you would get it fitted. But you couldn’t find an opportunity to do so and in the end, the article remains buried in your wardrobe unworn. Or worse, you outgrew it and decided to part ways with it because it no longer sparks joy. If that seems like a scenario you’re all too familiar with, it might be time to consider tailoring your outfits. While we aren’t denying you the joy of buying new clothing from the store, we’re espousing you to start small. Consider going to the tailor to get regular fixtures in your wardrobe, such as shirts, trench coats, dresses, trousers and blazers, made. The rest, you can supplement with store-bought pieces. Alternatively, you can be really judicious with your shopping and pick pieces that require little to no alterations or shop at places that provide alteration services. Many high-end and high-street brands these days provide this after-sale service. Else, make the conscious effort and set a monthly date to bring your loot to the tailor. Tailors you can look for in Singapore include 3eighth, Time Taken To Make A Dress and Haute Alteration Initiative, the last of which is a social enterprise that provides employment for women in less fortunate circumstances. Summer of ‘96. Atlanta 1996 Summer Olympics wear available in-store 24 Feb 2018 (Sat). Another way to reduce your environmental impact is to make your fashion purchases at vintage and second-hand shops. Plus, fashion trends are cyclical by nature, so the retro Hawaiian shirt you picked up will definitely come back in vogue; you’ll just be ahead of the trend till then. 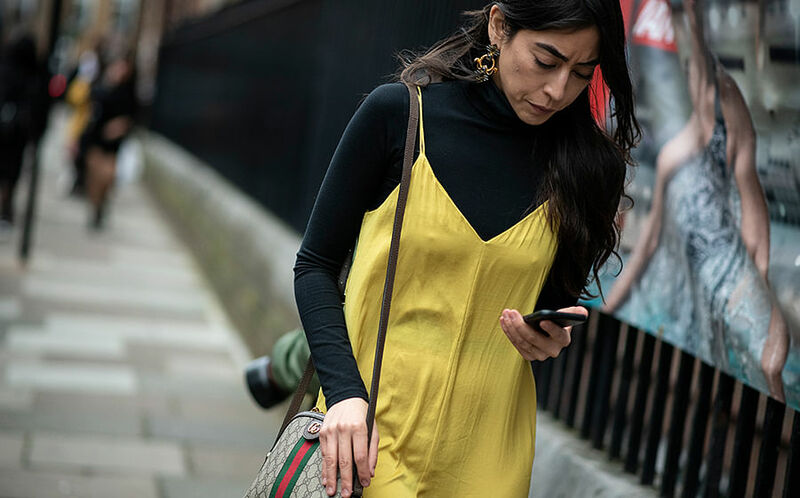 Retailers such as Loop Garms and The Attic, websites such as Vestiaire Collective and Oldsowhat and apps such as Carousell connect you with pre-loved pieces — many of which are in almost mint condition — from reputed labels or classics that are no longer produced (such as Celine’s Clasp bag). In addition, there are physical stores such as New2u (by the Singapore Council of Women’s Organisations) and the Salvation Army that sells donated used items with the proceeds going towards supporting local charities and communities in need. The closest analogy we can give you is when you’re buying furnishings for your house. For items that you know you’re going to be using for a long time, such as a fridge or an air-conditioner, it’s worth the initial investment to get a quality product that can truly last. After all, the adage where you get what you pay for holds true in this scenario. Think along the same lines when it comes to the tenets of your wardrobe. We reckon that staples pieces such as underwear, blazers, footwear and bags are worth the extra dollars as a well-crafted piece will last long and age well. Another way to decide what items are worth the investment is to consider how often you change them up. For example, if you’re dedicated to a style (monochrome, anyone?) or are looking to invest in a piece of necklace or bracelet for your jewellery collection, it might be worth getting one that you truly love, even if it comes with a higher price tag. Say you have a company D&D to attend and the dress code says white (formal) or black tie (semi-formal). You utter a little curse under your breath because you know that you’re going to have to shell out a pretty penny to get an outfit that you’ll most likely wear once. Not only will you be spending unnecessary dollars, you’re inevitably contributing to the fashion waste problem. The solution? Seek out outfit rental companies. Brands such as Style Theory, Covetella, Style Lease, Rent A Dress and Runway Rent have mushroomed in Singapore and they provide services that specifically deal with these problems, whether you’re just needing a designer bag for extra cachet or a dress to attend a wedding. Style Theory also provides a subscription service that allows you to rent and swap so you don’t have to be an outfit repeater. Finally, remember that your hard-earned dollars are what these companies are after. This means that you hold the most power to effect real change to the fashion industry. If you want the company to do more and change structures within their supply chain (example: Burberry going fur-free and to stop burning their unsold products), let them know through social media and with your spending. Hold these brands accountable and don’t be afraid to choose who you want to support with your coins.